It's the most wonderful time of the year! The Month of Celebrating, a time of festivity and joy, of generosity of both Neopoint and spirit, cumulating in the Day of Giving, when Neopet and owner alike excitedly show their appreciation for their loved ones with a carefully chosen gift. But this special day isn't all jolly and holly and... other things ending with "olly". For many of us, the pressure is on to make sure our Neopets enjoy a perfect Day of Giving, and the pressure of making sure everything goes to plan can be rather stressful. 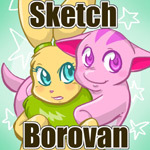 And for those of us with baby Neopets, that brings with it a whole new load of challenges to take into account. How to involve them in the fun of decorating your Neohome? How to keep your little one from becoming over-stimulated in all the excitement and chaos? What gifts to get them? What to feed them when you realise they can't eat that delicious turkey dinner you were up all night preparing? How do you make sure they're involved and enjoying the holiday? As I'm sure you're well aware, the fun and festivities start well before the Day of Giving; they continue through the entire Month of Celebrating. One of the most enjoyable ways to get your family into the spirit is to decorate your Neohome... but in all the excitement of decorating that big beautiful tree in your living room, don't forget your baby's nursery! For baby's room, I would recommend Candy Cane String Lights or Tinsel. 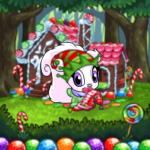 Both are bright, fun and festive decorations that are sure to catch your baby's eye; my baby Neopet squeals with happiness every time she lays eye on its sparkly shine, while the Candy Cane String Lights never fail to captivate her attention with their cheerful flashing colours. Best of all, they can be hung across the ceiling, keeping them safely out of reach of sticky little fingers. On the other hand, I would definitely avoid items such as the Deluxe Holly Wreath; it's pretty, but those holly leaves are a spiky accident waiting to happen! I would also caution that your toddler never be left alone with your Christmas tree. It's pretty much guaranteed that the moment your back is turned, all of your most expensive and precious tree ornaments will be ripped from the branches and flung around the room. As the excitement builds throughout the Month of Celebrating, it's always good to have a handful of activities on hand to keep your little one amused while they eagerly await the Day of Giving. A Sliding Candychan Puzzle can be a great way to distract and calm down an over-excited tot. This simple little puzzle features the adorable little wintery petpet that is sure to appeal to your baby with its delightful little face. Best of all, the pieces are all securely contained within the toy, so you don't need to worry about lost parts. I also recommend the Holiday Colouring Book. Inside are lots of fun pictures for your baby to scribble on, and all of them appropriately themed to the Month of Celebrating! And of course we can't forget one of the most beloved activities of all; the Advent Calender. Neopets of all colours and ages eagerly flock to this joyful little Daily, and baby Neopets are no different! My little one just adores opening up to those cheerful wooden doors, the cute and often hilarious videos never fail to delight her, and then best of all, she gets to take a present to take home! It's easy to forget about the Advent Calender on the Day of Giving, when you're surrounded by presents and smiles right there at home, but often some of the best gifts are given out on the 25th, so it's definitely worth wrapping your baby up warm and taking them up to Terror Mountain. And speaking of dressing up, don't forget to include your little ones in the closet-raiding fun. While your baby's options might seem limited compared to their older siblings with their Ugly Christmas Sweaters and Candy Cane Hair Bows, your baby can still dress to impress, too! Last Christmas, Baby owners had the opportunity to purchase the ever so cute Baby Elf Hat. This adorable little cap will not only keep little heads warm but, as the name suggests, makes your wee one look just like a sweet little elf. Precious! However, if you missed the Baby Elf Hat, there's also the Baby Candy Corn Hat that was more recently available earlier this year. Although this is more autumnal in theme, it's still a good cosy hat that will help keep your little one warm through all their wintery excursions and snowball fights. Ah, what would the Day of Giving be without a delicious turkey dinner? You've been up since 4am, slaving away over that hot stove, basting and stuffing and steaming and sautéing, and finally the mouthwatering fruits of your labour are sitting pretty on your festive table. But if your lovingly prepared meal seems a bit too tough for your toothless tot to swallow, fear not! There are several options from around Neopia that you can give to your little darling can have for Christmas dinner instead. A Turkey Milkshake might sound disgusting, it might look disgusting, and yes, to you and I it might taste disgusting... but babies have some strange tastes and I have never yet seen mine turn her little nose up at a Turkey Milkshake. In a similar vein, a Turkey and Cranberry Chia Pop gives your little love all the flavours of a traditional festive dinner without any of the bones, all in one frozen lickable treat. And for dessert, a Chocolate Seasonal Pudding is a delicious but nicely soft goody that is sure to be devoured with gusto. Just be sure to remove those spiky pieces of holly first! Of course, we couldn't talk about the Day of Gifting without discussing gifts! For gift giving, it's nice to let the little ones join in, too, even if they don't have the Neopoints to buy anything themselves. 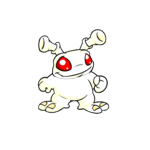 To make your baby feel included, I find it's often best to pick a small selection of gifts your other Neopets would like, and let your baby choose which one to give. That way your baby still gets to experience the joy of presenting their sibling with a present they love, which is what this day's really all about. As for gifts for your little one, this can often be rather challenging. I admit that my baby is a little spoiled, and I'll bet yours is too- who can possibly resist those big, round, puppy-gelert eyes? So when it comes to a special day of gift-giving, I want to get her something extra special. This could be something a little grander or more expensive than I'd usually get her, perhaps something Neocash, or even just something I know she'll love. For a more expensive Neopoint option, many babies (and older Neopets, too!) love the sweet, ever-growing line of Usuki Dolls. Some of the prettiest dolls also sell for an appropriately pretty penny. For example, the Emerald Queen Usuki Doll is rather pricey indeed, but with her elaborate outfit and luxurious hair, she is quality worth every penny. And Usuki-loving tot would be thrilled to have her! Another great gift would be the Baby Rattle of Cuteness. It's a fairly recent addition to the NC Mall, and well worth 150 of your precious Neocash. This rattle has a perfectly shaped easy-grip handle for even the youngest babies to be able to grasp in their clumsy little hands, while its large size means that it'll never get lost under the sofa. Filled with lovely little flowers and adorned with a beautiful purple butterfly, your tot is sure to be enchanted! Or, if your baby is a little older, you might decide that now is the time for a special present of great importance; maybe they are ready for a petpet? Of course, you'll still have to supervise them closely and make sure the petpet is taken care of yourself, but many babies respond well to the extra responsibility, and enjoy the constant companionship a petpet brings. There are literally hundreds of petpets to choose from, and most come in an array of colours, so you're sure to find one suited to your baby's personality. If you're unsure of which to choose, I'd recommend the inexpensive Puppyblew. Playful, loyal and gentle, Puppyblews are renound for their love of children and great temperament. Plus, they can even be painted Plushie, great for night time snuggles! But remember; a Petpet is for life, not just for Christmas. By now your little one is probably exhausted after a wonderful day packed full of toys, presents, fun, good food and family. As always, a good night's sleep is preceded by a good bedtime story, and here in Neopia, there are many festive books perfect for this time of year. Our recommendations are A Faerie Christmas and The Spirit of Giving. Both are sweet, heart-warming tales that focus on the true meaning of the Day of Giving; generosity and love. They're sure to lull your little darling into peaceful dreams of Christmas delights. And so that concludes this season's special guide. My baby Usul and I both really enjoyed compiling it, and we do hope it was of some use to you fellow baby owners. We'd like to wish you all a happy Day of Giving, and a joyful Month of Celebrating.